The Saint Leo University math club was formed in 2007 and has been active on the University Campus. For the year 2009-2010 the club won the Outstandding Organization award for service to the Saint Leo University Community. The club organizes events to celebrate math during the year. Our most favorite event is Math week. 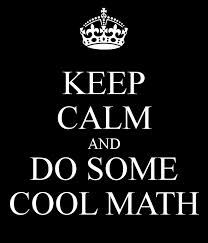 We are going to be posting information on our upcoming Math Week very soon. In addition, math club members go to math conferences both locally and nationally. If you are interested in joining the math club please contact Monika Kiss, the faculty adviser for the math club or the president of the Math club Iris Semer at iris.semer@email.saintleo.edu.